Bosasa's former auditor unaware of R38 mln tax evasion - SABC News - Breaking news, special reports, world, business, sport coverage of all South African current events. Africa's news leader. 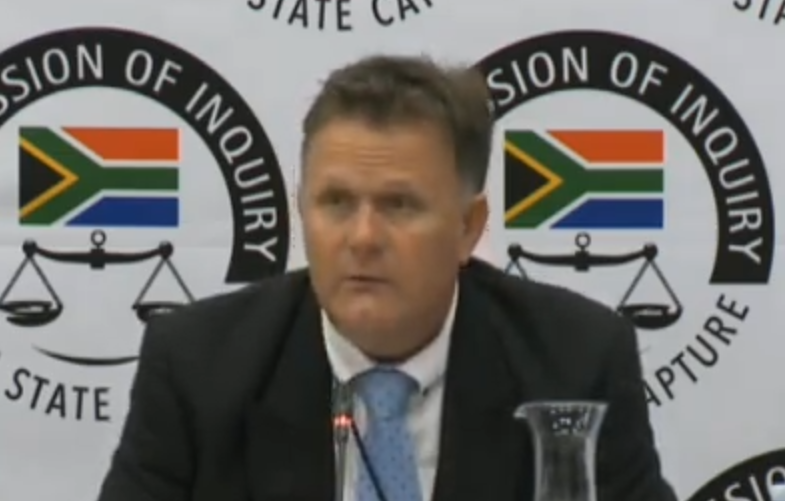 Venter says to his knowledge and his advice, there were no illegal activities in relation to SARS submissions under his watch. Bosasa’s former auditor, Peet Venter, says he’s unaware of alleged tax evasion of R38 million by subsidiary company, SeaArk. He’s testifying at the Commission of Inquiry into State Capture about his time working as the company’s external auditor. In his affidavit, which he claims was amended by COO Angelo Agrizzi, there’s a paragraph which says that the company took action to avoid paying certain taxes. Venter says to his knowledge and his advice there were no illegal activities in relation to SARS submissions under his watch. “It actually says that the opportunity to evade tax on an amount of R38 million, I was told that the documents and processes were fraudulently manufactured. I’m not aware of any of those in this paragraph 23. According to me they are referring to tax evasion and I’m not aware of any tax evasion in that company,” says Venter. This entry was posted on 26 Mar 2019,11:49AM at 11:49 AM and is filed under mobile-leadstory, Business. You can follow any responses to this entry through the RSS 2.0 feed. Both comments and pings are currently closed.